2018.09.08 Colchester Highland Games 6 20'3.0" 36.2lbs. 29'9.0" 16.8lbs. 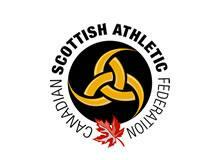 N/A N/A 39'7.0" 17'7.0" 75'10.0" 57'5.0" 9'0.0"
2018.07.14 Festival of the Tartans 2 N/A 29'2.0" 16.8lbs. N/A N/A 41'6.5" 25'10.0" 72'10.0" 56'4.0" 12'0.0"
2018.07.02 Pugwash Highland Games 3 N/A 29'5.5" 16.4lbs. N/A N/A 35'8.0" 24'0.0" 64'5.0" 56'1.0" 12'0.0"
2018.06.16 Moncton NB Highland Games 6 N/A 29'8.5" 16.2lbs. N/A 11:10 16'0.0" 47.0lbs. 36'9.5" 21'0.0" 67'9.0" 54'4.0" 11'6.0"
2018.06.02 Gathering of the Scots Lightweights 6 N/A 26'9.0" 17.2lbs. N/A 12:00 15'0.0" 47.0lbs. 34'10.0" 22'3.0" 68'1.0" 50'11.0" 11'0.0"